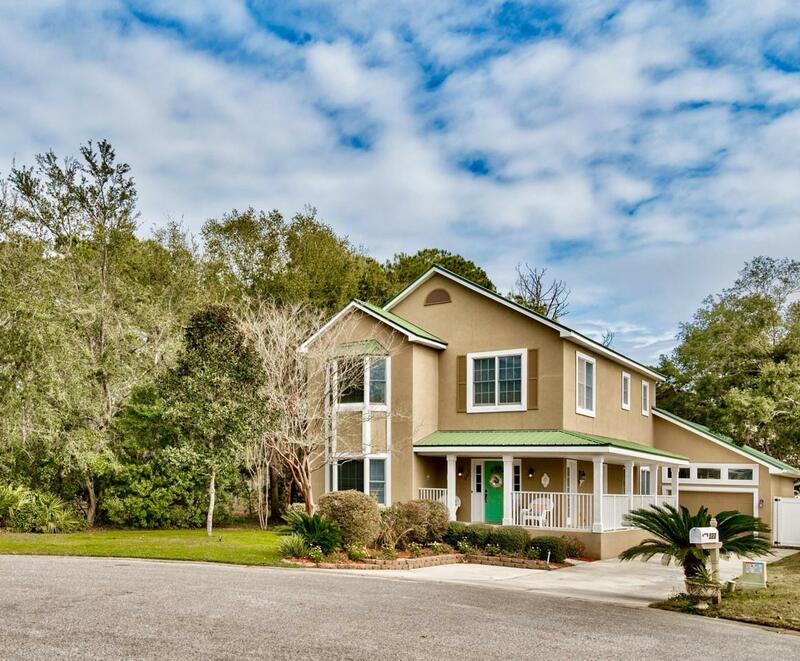 How would you like to own this beautiful custom home situated just a quick stroll to a stunning Gulf beach, while affording the luxury of Deer Lake State Park in your backyard? This exceptional stucco home is situated on a 1/4 acre cul-de-sac lot in the friendly community of White's Gulfview Estates in Seacrest, just minutes from Rosemary Beach and Alys Beach! The association boasts low HOA fees which include a deeded beach access with parking for bikes and golf carts.A large wrap-around porch welcomes you into the elegant foyer and combined living/dining room that overlooks the park setting. A chef'skitchen opens to the eat-in/family room area where French doors lead to a beautiful deck which is great for entertaining. This fenced back yard is large enough for a pool/hot tub addition and offers exquisite privacy. A full bathroom with a separate entrance downstairs allows you to rinse off your happy feet before entering the second floor which features three large spacious bedrooms and a Master suite with two walk in closets, double vanities, and a separate soaking tub and shower for those tranquil moments. Additionally, this home features an oversized 1.5 car garage with lighted attic and a driveway which can accommodate 4 vehicles. This property has been updated and meticulously maintained. Recent improvements include interior exterior painting, two new AC units, gutters, hardwood floors, crown moldings, remodeled kitchen and bathrooms with travertine tile and granite countertops. This property is ideal for both full time living and as a second home investment with great rental potential, a real gem!